Eleaf Melo 3 Atomizer 4ml is the third generation of Melo series atomizer. It comes with 4ml capacity, and it is really easy to operate with the top-filling system and detachable structure. Eleaf Melo 3 Atomizer 4ml is the third generation of Melo series atomizer. It comes with 4ml capacity, and it is really easy to operate with the top-filling system and detachable structure. It is a good choice of beginners because unlike those RTA or RDTA atomizer, you don’t need to build the coil and do it yourself, everything is complete and ready here, you just need to fill in the e-juice and start to vape. 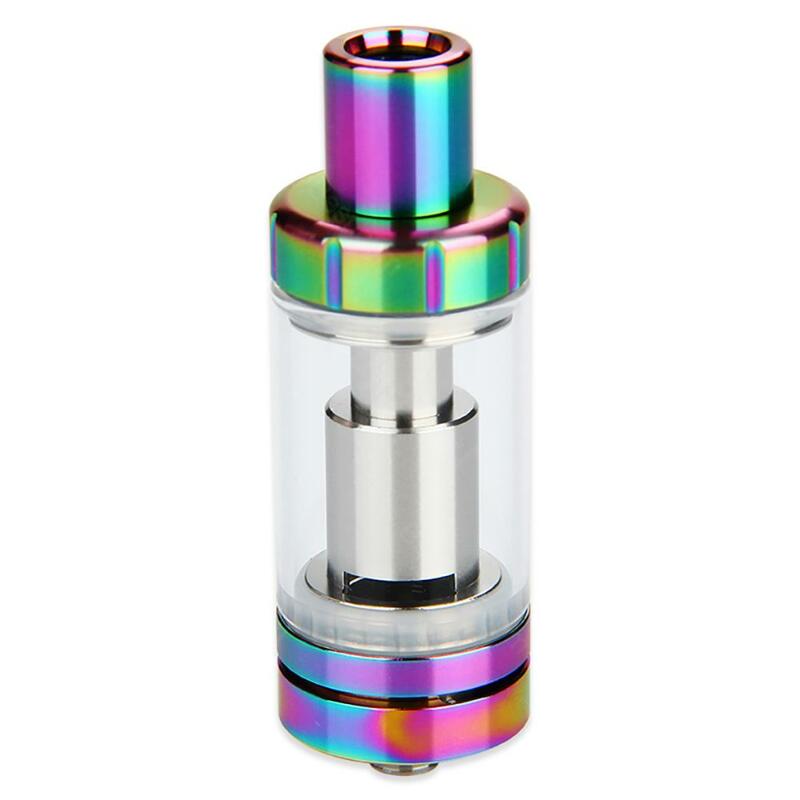 It is made out of high quality 304 stainless steel, the e-juice can be fully heated in this case since the great heat conduction of stainless steel. So you can enjoy pure flavor. 7 colors for you to choose. Screw back the cap onto the Melo III. • You can buy Eleaf EC coils 0.3ohm/0.5ohm, 0.15ohm Ni200, 0.5ohm Ti and ECR coil . Melo 3 is affordable for beginners. Easy to use and the price is reasonable. I love it's flavor. Melo 3 by Eleaf has a huge 4ml capacity for long time vaping. High quality but low price, Eleaf Melo 3 Atomizer is trully fantastic. I love its pure flavor. Tested, original. item description matches received. the 3 melo vape with resistors 0.5 leaves a quality hot resistance flavor. see time i recommend seller. packaging reliable, shipping and delivery quickly, high quality product. Never leaks. Super Flavor. to seller thank you to buy recommend.